Why Support the Mission of Saint John Paul II Regional School? Our mission is simple: to empower students to achieve their academic potential in a faith based environment to lead lives rooted in Christian values. We exist to help our students know, love, and serve God. Support in our school provides resources for new programs, technology, extra-curricular activities, building maintenance, tuition assistance and academic initiatives that prepare our students for a changing world. 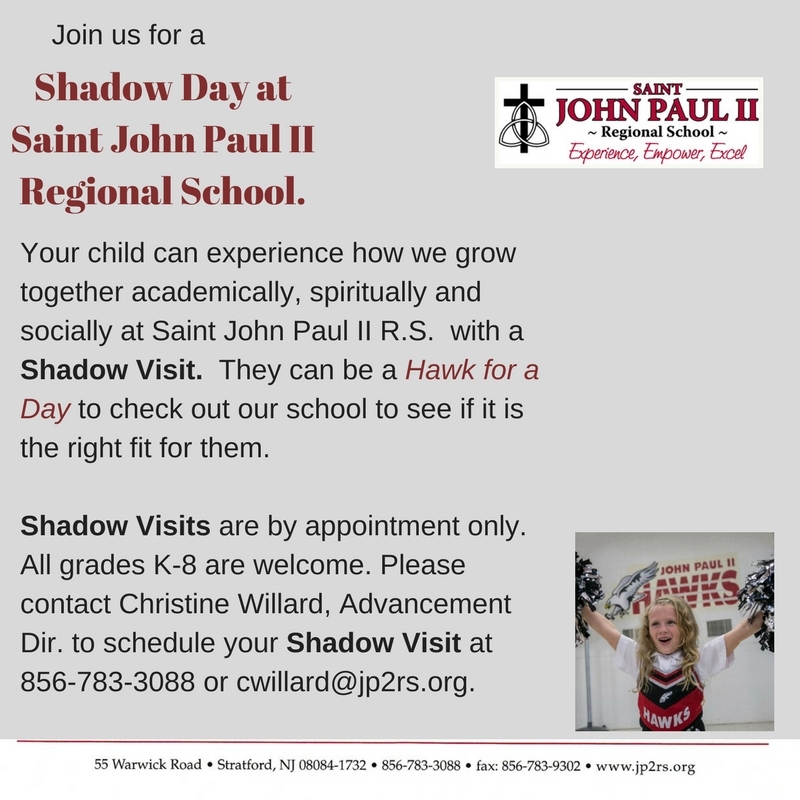 Tuition covers approximately 75% of the cost of education at Saint John Paul II Regional School. Through your kindness, we can continue to maintain and tend to the future needs of our students while keeping our program affordable for our families. Sponsor or donate to one of our fundraising events such as our Race for Education, Basket Auction or Carnival. Gifts can be be made in honor of a student, a teacher, or in memory of a cherished loved one.